To bring together the youth and organizations in Taoyuan that are interested in social business, we jointly planned the “Social Business Gathering in Taoyuan” with TYC x Commander. 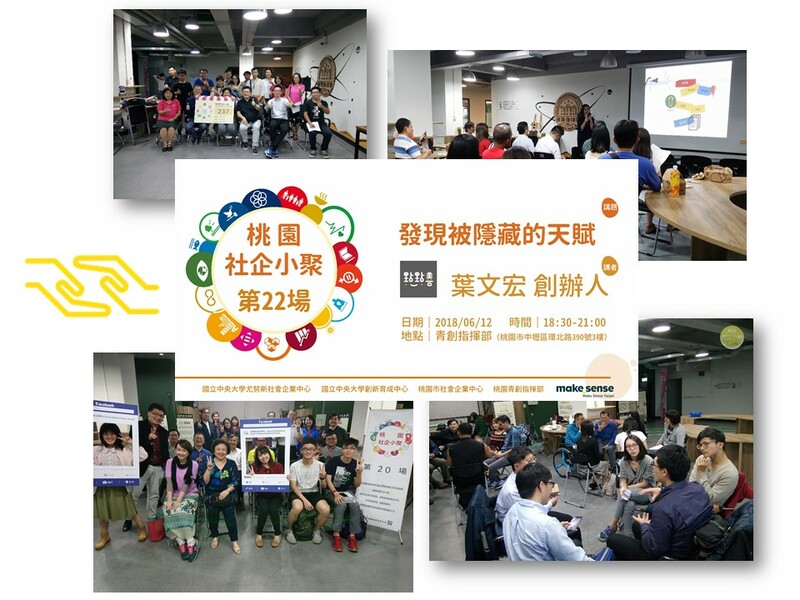 Monthly gatherings have been held on Tuesday of the second week of each month starting in July 2016, hoping to create an atmosphere that will facilitate the development social businesses in Taoyuan City via sharing and exchange. Besides allowing participants to gain advice from experts, the gatherings also allow participants to find resources, networks, and partners. The format of the gatherings is as follows: An expert or manager of social business is invited to share experiences, or a youth entrepreneur is invited to share a project and engage in exchange and feedback. As of May 2018, 21 events have been held.